Have you ever seen a movie based on a book then been inspired to read that book? Here are ten books that have been or are upcoming movies. Some classics, some that had different endings and some for you to read before the movie is released. Do you have a favourite book that has been made into a movie? The story is narrated by Mattie aged 50 and tells about her experiences in the winter of the 1870s when at age 14 she sets out to avenge the murder of her father. Mattie a stubborn, wilful young adult convinces one-eyed Rooster Cogburn a drunk, cantankerous US Marshall to help her to track down the murderer. During the trip they endure bad weather, illness, outlaws, rattlesnakes and hours on horseback. 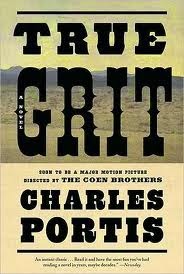 True Grit is often considered to be one of the better written westerns you can read. The dialogue is a mix of humour and drama. The author takes care to include realistic historical details and to develop believable secondary characters. There have been two True Grit movies - the memorable John Wayne version and the more recent Coen Brothers version. Danny was only five years old but already a 'shiner' radiating psychic energy.When his father Jack Torrance become caretaker of the Overlook Hotel Danny's visions grow frighteningly more vivid. As winter closes in and blizzards cut them off the empty hotel seems to develop a life of its own. Who then is the lady in Room 217, where did the bloodstains on the door come from, who are the masked guests going up and down in the lift and why do the animal shaped hedges seem to be alive? There is an evil force in the Overlook and it has begun to shine. 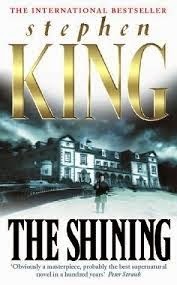 The Shining is one of Stephen King's most well known novels. The story is a mix of psychological thriller and supernatural horror. If you have seen the film who can forget Jack Nicholson as Jack Torrance. The film made by Stanley Kubrick still stands as a classic of its genre today. With the release of Dawn of the Planet of the Apes imminent what better time to read the book that started it all. In the not-too-distant future three astronauts crash land on what appears to be a planet like Earth. It appears to be a paradise with green forests, a good climate and oxygen. They soon discover the truth. 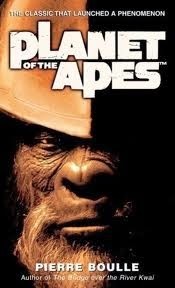 On this world humans are forced to live as mute savages in the jungle while the apes rule. The gorillas provide the muscle, the chimpanzees are the brains and the orangutans maintain the status quo. One of the men Ullysse Merou must fight to prove that he is intelligent and worthy of being accepted in the ruling society. The prose of this book is a bit clunky and some of the science is questionable however it still stands as a good example of classic science fiction. And who can forget Charlton Heston in the 1968 version of the Planet of the Apes film? Haven't heard of this book? It is more widely known as the Ridley Scott film Blade Runner. Blade Runner is quite a well known film however its plot is somewhat different from the book. The book definitely has more of an impact. The story is about a futuristic android killing policemen called Rick Deckard. San Francisco is covered with radioactive dust from the World War Terminus. There is no sun and most of the animals are dead. Many of the surviving humans have moved to Mars where they have android servants. The problem is that some of the androids have escaped and returned to Earth. Deckard makes his living from hunting down and exterminating the illegal androids. He has six escaped android on his list. These androids are a new highly intelligent, lifelike model. Dangerous and hard to catch. Will Deckard live to collect his earnings or will he discover an emotion that he has forgotten? 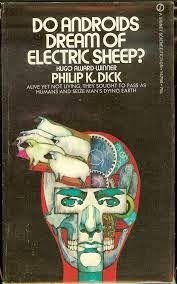 Read this book to find out what Deckard discovers and how this book got its title. This is classified as a young adult book however it also has many adult fans. 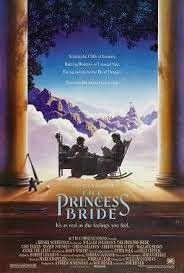 The movie version follows the book quite closely. In 1941 a young boy lies in bed suffering from pneumonia. His rumpled father, an immigrant from Florin comes into the bedroom with a book. The boy wants to know if it has any sports. His father replies "fencing, fighting, torture, poison, love, revenge, giants, hunters, bad men, good men, beautiful ladies, snakes, spiders, beasts, pain, death, brave men, cowards, strong men, chases, escapes, lies, truths, passions and miracles. And there is kissing. How could you resist reading this classic? This story is based on the real life story of an elderly Irish woman's search for the son that she was forced to give up for adoption 50 years earlier. 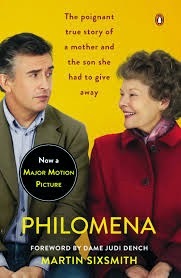 The book tells the dual stories of Philomena and her son Michael Hess. Michael ends up being taken by a family living in the US. He grows up to become an administrator of a political party, a job made more difficult as he is a closet homosexual. The stories are quite heartbreaking as there are many missed opportunities where mother and son could have met but didn't. Mr Hess's attempts to find his birth mother were unsuccessful despite making three trips to the convent only to be told that they had no records about his mother. Mr Hess requested that he be buried at the convent in the hope that Philomena would one day find him. You can also borrow the DVD of this book from Sutherland Library. 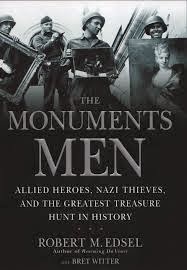 This book is based on the stories of one woman and nine men who travelled throughout Europe during World War II to find, identify and preserve fine art, documents and monuments. Most of these people had worked with art in some way in their civilian lives and wanted to save art from destruction or theft by the Nazis. Without their efforts many great works of art would have been lost forever. 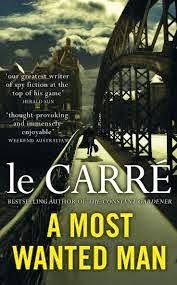 John Le Carre's espionage books are so complex that reading the book before seeing the film may help people to understand the characters, twists and turns of the plot. The story is about Murat Kurnas, a Turkish man living in Germany who was taken to Guantanamo Bay after being mistaken for a terrorist in the early 2000s. The story moves from international banking to Islamic ideals. The cast of characters include refugees, a human rights lawyer, a banker (one of Philip Hoffman Seymour's last films), master spies and politicians. The film of this book is due for release at the end of July. 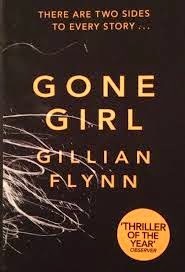 This book is a psychological thriller that follows the lives of an unhappily married couple and the events that occur after the wife disappears. The story is told in two parts and features parts based on the husband Nick's perspective and parts focused on Amy's old diary entries. The author has written the screen adaptation herself. The film is due for release around October 2014. 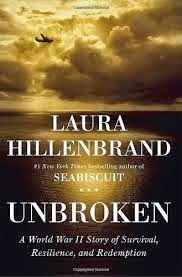 Unbroken is the story of Louis Zamperini a former Olympian whose plane crashed into the sea during World War II. Zamperini and two crew mates drift in the sea for 47 days and 2,000 miles before being captured by the Japanese Navy and being sent to a POW camp. Zamperini was targeted for particularly brutal treatment by one of the overseers. The film adaptation of this book is taking place in Morton Bay and is due for release December 2014 or early 2015.